Inspiration and ideas for a product can come at anytime, any place, and when you least expect it. One of my favorite quotes is from Leonardo da Vinci: "Simplicity is the ultimate sophistication". Whenever we see a great product or idea, we often say to ourselves, "why didn't I think of that". Some of those products are the Luma Dice, an LED dice that lights up, by Min Mendis as seen on Kickstarter or the Titanium Pocket Bit by Chadwick Parker & Joe Huang BigIDesign, a double sided 1/4" hex bit that can be carried on a key chain, also on Kickstarter. Both of these products utilize the simplicity is the ultimate sophistication principle. Another great product that is utilizing the Leonardo principle is "Oi", by Knog, which is a modernized version of those bells we all had on our bike handle bars as a child. Now with Oi, even adults will look cool using one. Nearly 21,000 backers agreed and backed Knog's campaign! Lastly, Pico by PangeaDesigns, was an ultra streamlined bottle opener no bigger than the bottle cap it was designed to open. A wonderfully simple, but functional design that smashed the bottle opener category on Kickstarter. In keeping with the Leonardo da Vinci principle, we are getting ready to release our version of a simple, but functional titanium multi-tool called The Dice Tool. A patent pending cube shaped multi-tool no bigger than a standard 19mm casino dice. Each of the five faces has a different sized hex wrench and the sixth face features a unique slot wide enough to accommodate a US dime coin. By inserting a coin, it can be used as a flat head screwdriver in a pinch. The problem with flat multi-tools is that you often have to hold a 1/4" hex bit in place while trying to turn the tool. With the Dice Tool, we have installed a Neodymium magnet, which is the strongest magnet commercially available. This will keep your hex bits in place while using the tool. The shape of the cube also allows the user to be able to get into tight spaces where typical flat multi tools cannot get into. Lastly this cube shape give more grip surface area allowing you to place more torque when turning. A key chain attachment allows The Dice Tool to be carried on a key chain, lanyard, or to be attached to a back pack or travel gear. Come check it out on Kickstarter starting June 23, 2016 at 7pm EST. 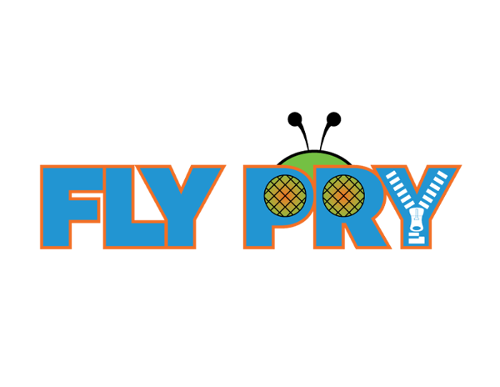 » Fat Fly Launching on Kickstarter February 17, 2016! » Coming Soon - The Fat Fly! » Our First Blog Post On The New Site! Fat Fly Launching on Kickstarter February 17, 2016!